Examination: At the end of the course, learners will take a 50 question online exam. The 2377-22 PAT course focuses on the theory behind PAT testing alongside practical advice on using PAT testing equipment. By taking our PAT testing course Sheffield, you’ll learn how to understand why we PAT test, how to do it yourself and what types of appliance you should be testing. Upon successful completion of all modules and the exam, you’ll have everything you need to PAT test appliances yourself. It’s a common misconception that PAT testing is only for electricians. This is not the case – anyone can PAT test, as long as they have a qualification to prove they can do so. The City and Guilds 2377-22 course is completely open to anyone with an interest in PAT testing, although a background/understanding of basic electricity is an advantage. Candidates should read and bring with them a copy of the IET Code of Practice for In-Service Inspection and Testing – available here. This book is the recommended guide for PAT testing in the UK and outlines best practice for ensuring appliance safety. 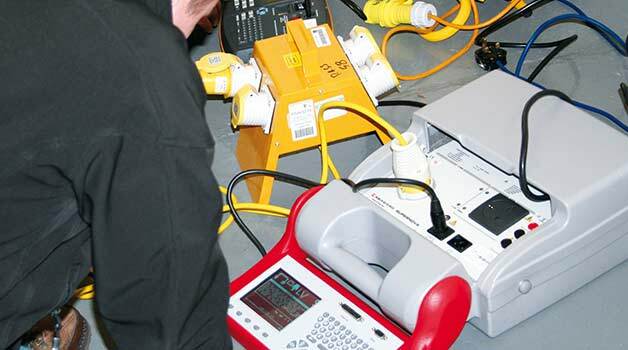 In just two days, learn the theory behind PAT testing and gain a recognised C & G qualification. Train to become a qualified PAT tester with our City and Guilds 2377-12 PAT Testing Course Sheffield! Ideal for those in Sheffield, Chesterfield and the surrounding area, this course is ideal for both electricians and those with no electrical experience. You don’t have to be an electrician to PAT test – anyone can do it, as long as they have a recognised qualification. After attending the course, you’ll have a qualification that allows you to test appliances for safety. Having an in-house PAT tester is a great idea for saving money, as well as time and resources on finding independent contractors. At Electrical Training Course, we’ve helped hundreds of people gain the PAT qualification they need to test their own appliances. With this course, so can you! You’ll also get professional training that follows the City and Guilds syllabus from our time-served tutors who are on hand to answer all of your questions and ensure you understand every aspect of PAT testing.